FILE - Dr. Phil McGraw appears at the 12th Annual LA Times Festival of Books on the UCLA campus, April 29, 2007, in Los Angeles, Calif.
A spokesperson for the daytime talk show "Dr. Phil" has denied multiple claims from past guests that members of the show's staff enabled their drug and alcohol use. A report this week from STAT and The Boston Globe includes accounts from guests who appeared on the program alleging, among other things, that show staffers supplied vodka and Xanax to a man who struggled with alcohol abuse and gave tips on where to find heroin in Los Angeles to a woman who struggled with heroin addiction. Dr. Phil McGraw, who earned a Ph.D. in clinical psychology but is no longer a licensed practitioner, declined to comment on the report. Martin Greenberg, the show's Director of Professional Affairs, described the claims as "absolutely, unequivocally untrue." "We do not do that with this guest or any other," Greenberg said when asked to address one guest's account. He later said in a statement to the publications, "Addicts are notorious for lying, deflecting and trivializing. But, if they are at risk when they arrive, then they were at risk before they arrived. The only change is they are one step closer to getting help, typically help they could not have even come close to affording." Todd Herzog, a former "Survivor" champion who struggled with alcohol abuse for years following his win, said that when he arrived on the "Dr. Phil" studio in Los Angeles in 2013, he found a bottle of vodka in his dressing room and was given a Xanax to "calm his nerves." Herzog said he had to be carried on set before his sit-down with Dr. Phil and registered a .263 blood alcohol content — more than three times the legal limit. Family members of some guests said their loved ones' health and welfare was put at risk by show staffers who allegedly played a role in their search for drugs. The investigation also looked into the level of medical care guests with addiction issues receive while filming in Los Angeles and at Dr. Phil's relationship with the treatment centers his guests often seek further help from. 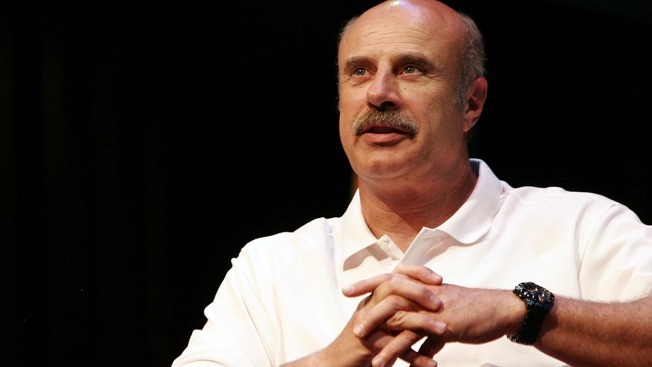 Was a Dr. Phil Interview the Remedy These Stars Needed? Herzog said he detoxed for two days in a hotel room paid for by the show and that he was sober when he first arrived for his scheduled taping. Greenberg initially told STAT and The Boston Globe that the show did not have a responsibility to monitor guests with substance abuse problems ("No, of course not — it's a television show"), but later said Herzog was "medically supervised the entire time" by personnel from an unnamed treatment center during his taping schedule. The report said Greenberg then appeared to shift his stance a third time, attempting to clarify in a statement that guests who agree to treatment are provided with medical supervision, but "it does not mean that a guest is being monitored 100 percent of the time." However, the executive director of the center where Herzog sought treatment after his appearance contested claims that his staff supervised Herzog in L.A. and said doing so would have violated their licenses. "I honestly regret ever having done it," Steve Thomason said in reference to his treatment center's participation and affiliation with the show. Herzog appeared multiple times as a guest on "Dr. Phil." He claimed that just before his third appearance, he found vodka in the dressing room again but did not drink all of it. Again, the show denied his claim. Marianne Smith said in the report that when her niece Jordan appeared on the show in 2012 and was suffering from heroin withdrawals, producers suggested she try Skid Row in Los Angeles to find drugs. Smith also said Dr. Phil did not offer her niece any medical assistance as they awaited her taping for two days. Greenberg issued a denial: "We could go on and talk about Jordan, or 10 others. Same reality. All had medical supervision." Likewise, Joelle King-Parrish said the show did not provide any medical attention to her pregnant daughter Kaitlin when she was detoxing in the hotel. Staff members reportedly told her to "take care of it," and one "Dr. Phil" employee ultimately joined the mother and daughter with a camera in hand as they drove to Skid Row looking for heroin. In response, Greenberg said Kaitlin's mother had previously "agreed to be 100 percent responsible for managing her daughter's health and possible withdrawal" and the individual who filmed the incident "simply documented the natural behavior she observed, which would have occurred whether she was there or not." Herzog appeared on "Dr. Phil" for a fourth time in 2016 and said he recently wrote a letter to the television personality thanking him. "I'm grateful in a lot of ways for the show. For getting me help in the nicest places in the country. That's a gift right there," he said. But "there are some things about the show that I don't like, and that I don't think are real... I should have been in the hospital, in that sense. There should not be liters of vodka in my dressing room." Others interviewed for the story also praised Dr. Phil and the show for getting them the help they needed. Former heroin addict Niki Dietrich is one of those people, who described the show's efforts as a "miracle," adding in part, "I have nothing bad to say about that experience." "Few people contact us just to let us know how well things are going," the show said in a statement to STAT and The Globe. "The fact you can 'cherry pick' three, or 30, or 300 guests for that matter, who seek to blame others for their plight or struggle in life, is not the least bit surprising." "Dr. Phil" reps have yet to reply to E! News' request for comment.